Sometimes, remarkable hideaways turn up in the unlikeliest of places. 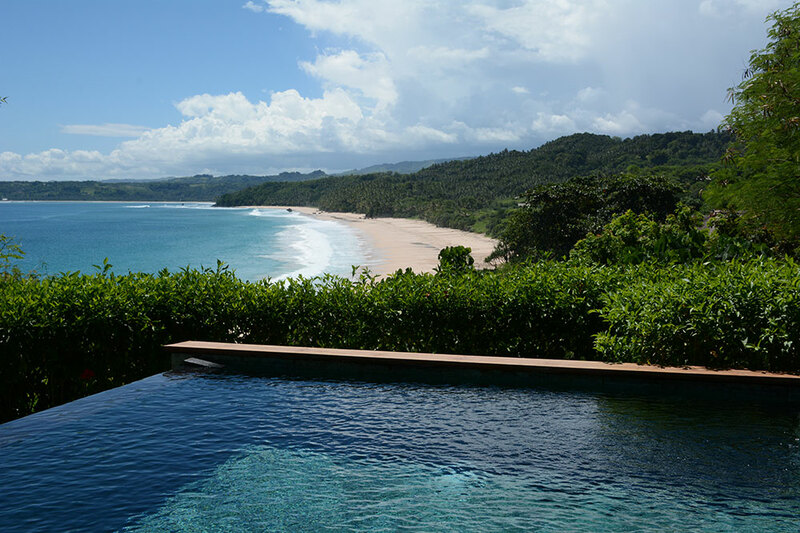 The island of Sumba lies 250 miles east of Bali in the remote Indonesian province of East Nusa Tenggara. Until recently, even lifelong globe-trotters had seldom heard of it. With an area of 4,270 square miles — almost the same as that of Jamaica — and a population estimated to be around 760,000, Sumba is no mere tropical microdot. But for centuries the island was isolated, undisturbed and practically unknown. A handful of Dutch colonizers came and went, leaving little permanent impression. Headhunting ceased only in the 1960s. A handful of Dutch colonizers came and went, leaving little permanent impression. Headhunting ceased only in the 1960s. Sumba began to attract a flicker of international attention in the late 1980s, when surf enthusiast Claude Graves and his wife, Petra, discovered a wave on the island’s southwestern coast that subsequently became known as “Occy’s Left” (after the World Champion Australian surfer Mark Occhilupo). During Indonesia’s April-to-October surfing season, this is a 10-foot-high, 300-yard-long curl of turquoise water, topped by a crest of white spray, that is regarded by the cognoscenti as one of the best left-hand breaks in the world. After a period living on the beach, Graves built a shack, which turned into a low-key bohemian surfing resort, which subsequently found favor with a select group of wealthy people in Europe and the United States who valued privacy, pristine nature and the experience of being close to the end of the world. 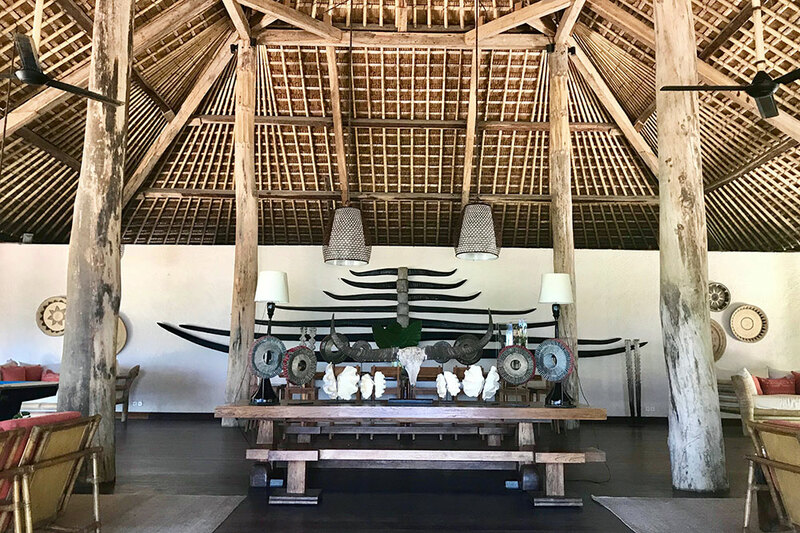 One such guest was the New York-based entrepreneur and billionaire investor J. Christopher Burch, who came to Sumba with his three sons in 2012. Later that year, he purchased the property in partnership with James McBride, whose résumé includes stints as the managing director of The Carlyle hotel in Manhattan and as the regional director of Rosewood Hotels in the Caribbean. 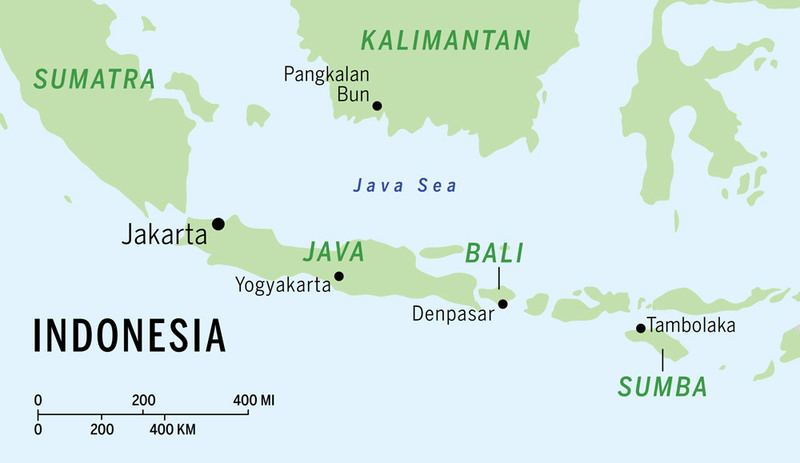 The scheduled flight by regional jet from Bali to Tambolaka in northwestern Sumba takes 55 minutes. Sitting on the left-hand side of the plane, I watched the islands of Lombok and Sumbawa slide past. And as the aircraft banked to begin its descent, I caught a glimpse of Komodo, home of the eponymous dragons. The transfer to Nihi Sumba is a two-hour drive along a narrow, winding road, with a surface that varies from adequate to atrocious. Many of the village houses are distinguished by the steep pyramidal roofs, where the spirits are believed to reside. (Formerly, these were thatch, but today they are mostly corrugated iron.) Occasionally, at the crest of a rise, the landscape opened out to reveal successive ridges of mysterious forested hills, untouched by human settlement. I reached Nihi Sumba still not knowing what to expect. The estate comprises 550 wooded acres that slope gently down to the sea. At the time of the sale, there were just 12 understated accommodations. Since then, Burch has invested a reported $30 million, to build 27 villas with 38 rooms, all with private pools. Other innovations have included a spa complex and an equestrian center. But despite this construction, the land still struck me as mostly undeveloped. I was greeted at reception by Loraine Trollip, who, with her husband, Jason, heads up the management team. (Nearly all the staff are local Sumbanese.) A sunny and laid-back South African, she had worked previously as operations manager at Singita Grumeti Reserves in Tanzania and before that as chef de cuisine at Singita Boulders Lodge in South Africa. This seemed an extremely good omen. Having shown me the airy main lounge, complete with pool table, and pointed out the pieces of hand-woven ikat for sale at a small store selling local artifacts, we headed downhill on a cobbled path between hedges of hibiscus. My villa, Mandaka #1, was accessible through a traditional gateway that opened into a private garden with a patch of clipped lawn and a sizable jade-green plunge pool. 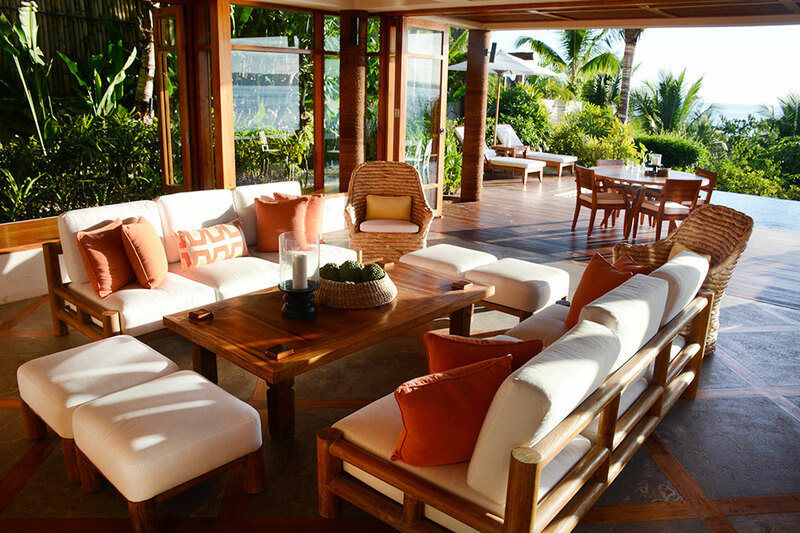 A teak deck led into a spacious glass-sided lounge with two parallel white sofas, wicker armchairs and a bar counter. It seemed an ideal place in which to relax with family or a group of friends. 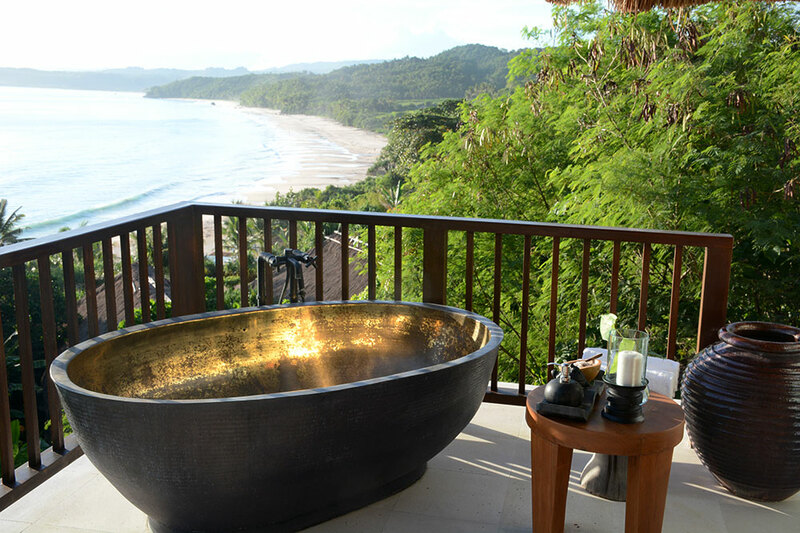 Upstairs, we entered an air-conditioned bedroom with a king-size bed swathed in mosquito netting, which led onto a wide balcony with two loungers, a freestanding brass soaking tub and a simply astounding view. From this perch, flanked by palms and banana trees, it was possible to gaze along a mile and a half of tide-swept sand, edged by aquamarine sea and backed by forested hills that even at first glance seemed to have an ancient and inscrutable quality. Halfway along the beach, about a dozen horses were being exercised in the surf by their grooms. Thanks to an early start, I was in need of lunch, so rather than ordering room service, I headed down to the Nio Beach Club. Nihi Sumba is connected by a network of steep paths and steps, laid out beneath a canopy of spreading trees with buttress roots and dangling creepers. (There is a shuttle service for those who are not feeling energetic.) Still getting my bearings, I found myself at the distinctly funky Boathouse bar, next to the surf and dive shop. There, several bronzed 20-somethings — most of them Australian or South African it seemed — were cleaning surfboards and fishing equipment. I asked for directions to lunch. 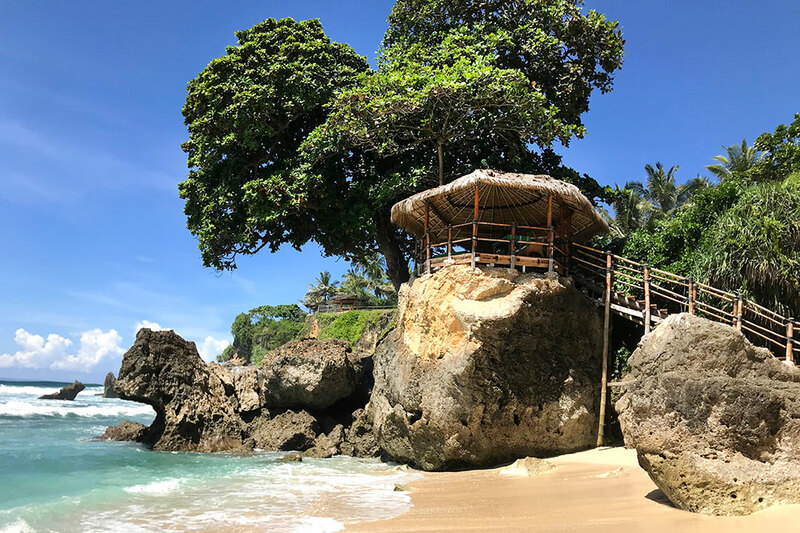 “Just follow the path past the turtle hatchery; you can’t miss it.” The Beach Club turned out to have a clay oven, a charcoal grill, a rotisserie and shaded tables set on the sand beneath thatched pavilions. Having resisted the wood-fired pizza and ordered some satay and a fillet of grilled Spanish mackerel instead, I perched on a bar stool at a counter next to the horizon pool, gazing out to sea in a trance of pleasure. Breakfast and dinner are served at the main Ombak (“wave front”) restaurant, which, from an elevated location, has a panoramic view of Occy’s Left. 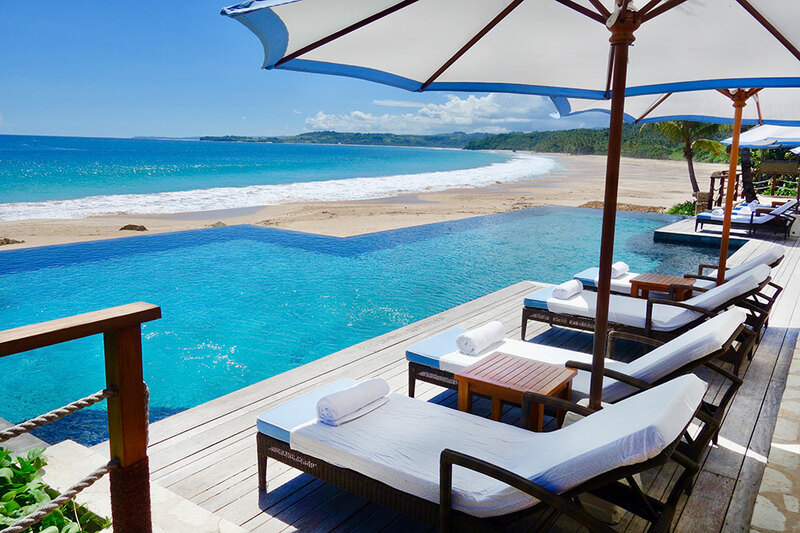 A large deck, cantilevered over the ocean, provides front-row seats for Sumba’s theatrical sunsets. The menu offers a mix of Indonesian and international dishes, which might include the line-caught fish of the day; prawn laksa (with coconut milk, ginger and green chile); rendang sapi (slow-braised beef curry); and chicken with green papaya, served with vegetables from the resort’s organic gardens. Throughout my stay, the food was impeccably prepared, and the Sumbanese staff were charm personified. Escorted by a private guide, I set out just after 7 on a morning that was still cool, clear and newly minted. We hiked up the hill at the back of the resort, just as the next shift of local staff were arriving on their motorbikes and scooters. Without exception they waved and smiled, and it was impossible to avoid the reflection that without Nihi Sumba these people would probably have no jobs, no health insurance and certainly no motorbikes. After about 20 minutes, we left the road to walk along narrow paths through village houses and then atop the earthen ramparts between flooded paddy fields. Eventually, we arrived at a cliff edge with a view of the Indian Ocean that seemed to stretch halfway to northwestern Australia. From this vantage point, we descended to the NihiOka spa, a scattered collection of wooden buildings constructed around a cove of luminous turquoise sea. A member of the staff took away my hiking boots to be cleaned, and a colleague led me up to a clifftop treehouse. There, overlooking the breaking surf, I feasted on banana bread, cinnamon cupcakes, and papaya and melon topped with grated fresh coconut. 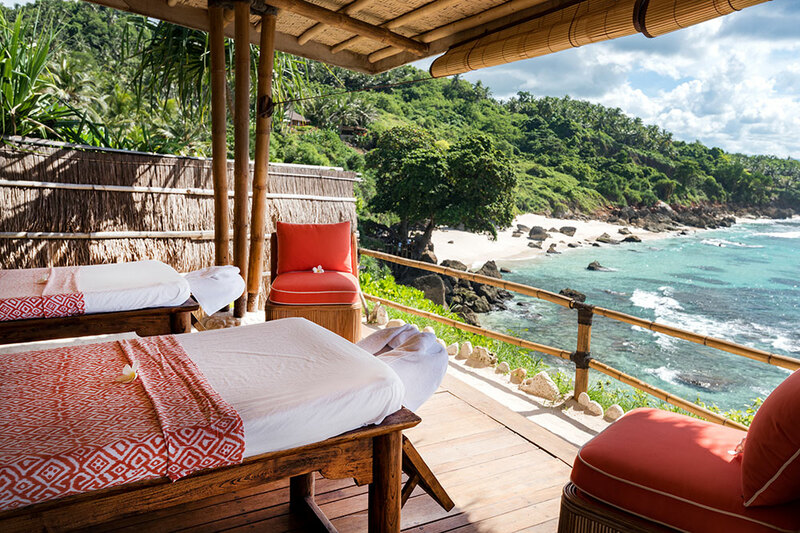 My treatments — the resort’s signature massage, a head massage and a salt body scrub — took place in a private pavilion with its own plunge pool. Although I am not really a spa aficionado, I would happily have stayed until evening. But, alas, all too soon a four-wheel-drive vehicle arrived to transfer me back to the main resort. 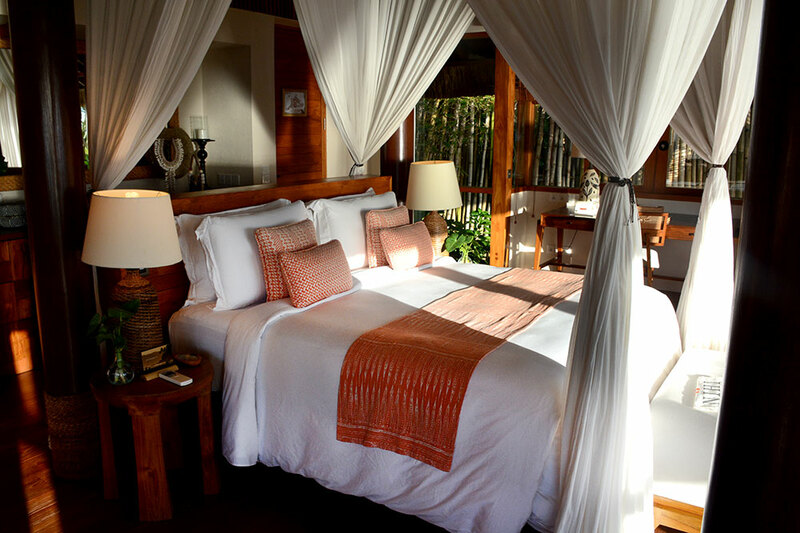 Perhaps the best way to characterize Nihi Sumba is that it is a hybrid of luxury resort and upscale safari lodge. And just like the best safari lodges in Africa, it displays an admirable sense of social and environmental responsibility. 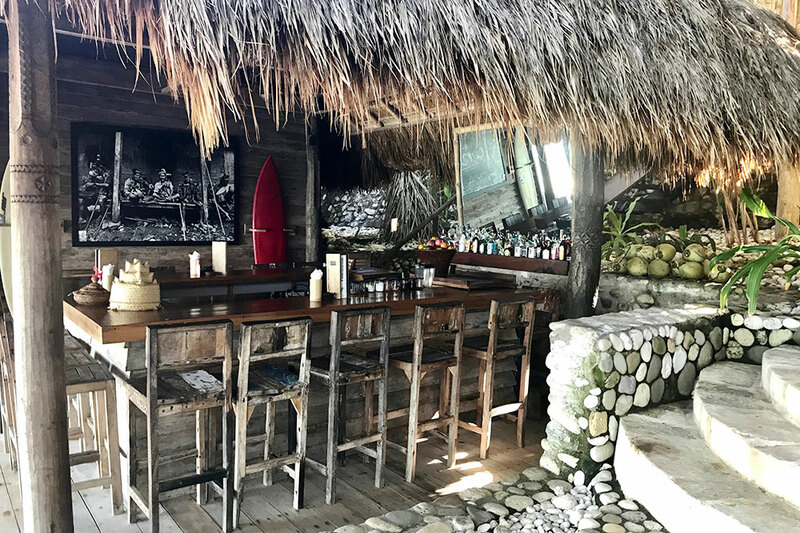 The Sumba Foundation was set up in 2001 by Claude Graves and Sean Downs, a U.S. tech millionaire who had come to Sumba on a surfing vacation. Today Christopher Burch covers its administrative costs so that all donations can be used for eradicating malaria, digging wells for reliable clean drinking water, providing health care (at four clinics) to about 25,000 people and equipping 16 primary schools with furniture and all necessary supplies. Nihi Sumba will not appeal to everyone. 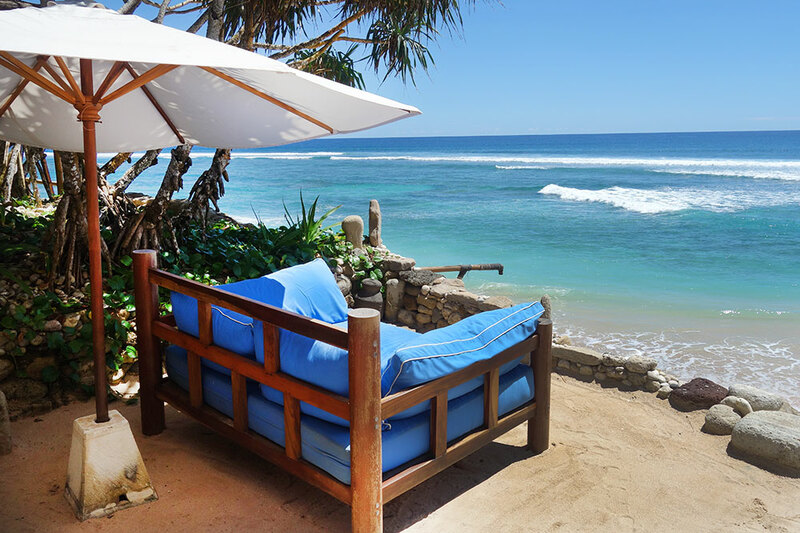 It is hard to get to: Bali is around 21 hours’ flying time from New York, and when you arrive there, you must take another flight — this time in coach, on a relatively small airplane — followed by a two-hour transfer on a bumpy road. 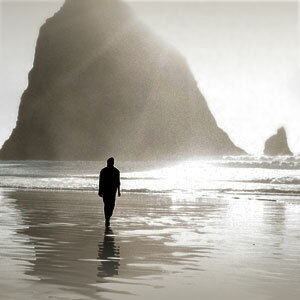 And in general, it is a place best suited to people who are fit and active. But there is nowhere else quite like it. Despite being extremely sophisticated thanks to the Burch millions, it continues to embrace its bohemian surfer past. If ever a $1,500-a-night resort could be accurately described as “cool,” then this is it. Nihi Sumba is supremely relaxing and strangely timeless. During my stay, I had the curious sensation that the clock had stopped in some mythic time zone and that I was the temporary inhabitant of an enchanted space where all the normal rules of life had ceased to apply. Virtually everything, but especially the pristine natural surroundings, the otherworldly atmosphere, the wonderfully comfortable accommodations, the encyclopedic range of activities and the consistently delightful staff. That it couldn’t be my permanent residence.. The high season for surfing runs from April to October, when the prevailing winds create the best waves. Only 10 people a day are allowed to surf Occy’s Left, but there are other waves, some of which are more suitable for beginners.